Curious George is a loved character in my family. As a child I loved reading the books, now my son enjoys the books and movies. 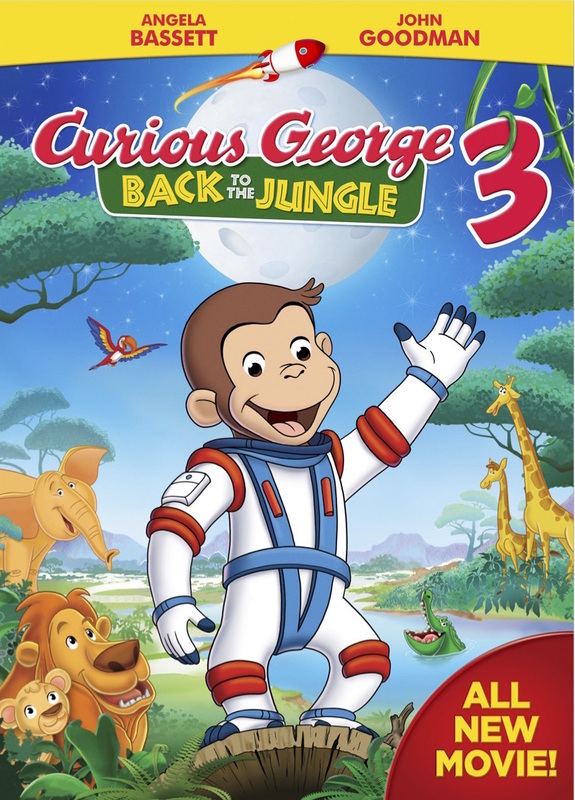 The newest movie Curious George 3 Back to the Jungle George is selected to go on a space mission but things go all wrong when he does not behave as he should. He crash lands in the African jungle and meets all sorts of friends along the way as he waits for Man with the Yellow Hat to find him. My son as always giggles at the antics of George. He is a little monkey himself always being silly and messing with stuff just for the curiosity of it. Man with the Yellow Hat tries to teach George about being cautious and that was a great way to be able to bring up what it meant and how my son could try that too. While out shopping this week I have mentioned to my son while he was monkeying around that we need to try to be cautious like George should, he did settle down a bit. The movie is cute and fun for all the Curious George fans in your family. 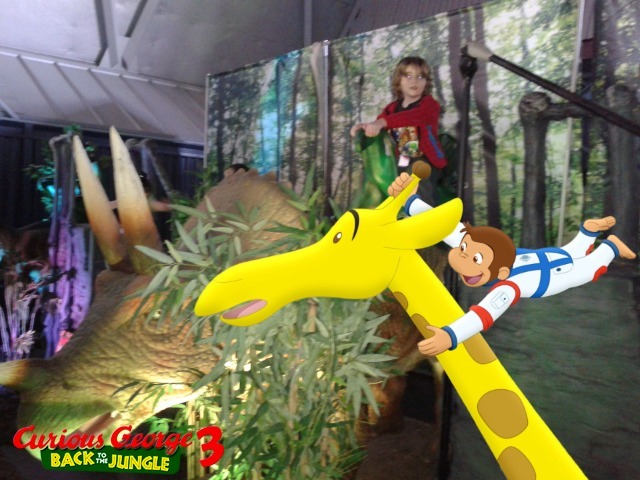 There are a few fun ways to interact with the famous curious monkey with the Photo App Photo With George for free. Here is the picture my son and I made with the photo app from his visit to Dino Days in Sacramento. Photo bombed by George and my son's favorite animal a giraffe. We laughed how it looks like the giraffe is trying to eat the leaves. You can also follow Curious George on Twitter and Facebook.